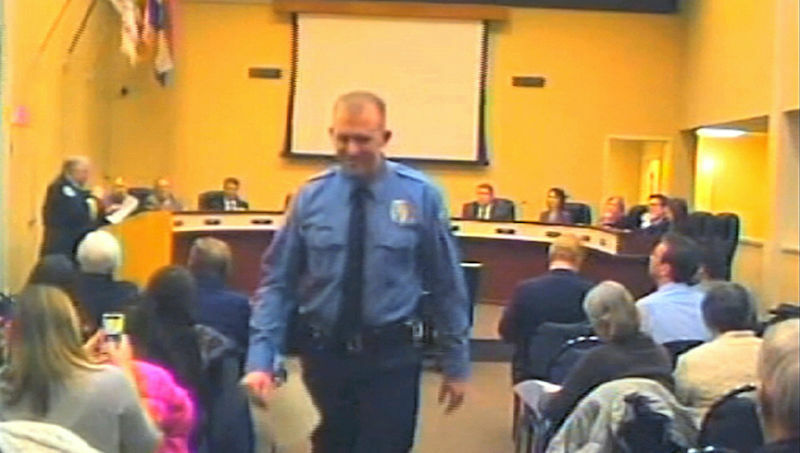 Turns out Ferguson police officer Darren Wilson is only in hiding when he wants to be—over the last week or so, he reportedly auditioned at least five TV anchors at a "secret location" in preparation for a sympathetic interview. Wilson disappeared immediately after he fatally shot 18-year-old Michael Brown in August, and hasn't been heard from since—which has had some major consequences for the prosecutors assigned to his arrests. Last month, a judge let a man facing felony drug charges walk because of Wilson's absence, which prosecutors say has scuttled a number of their cases. Cooper and Lemon both admitted to the meetings on Twitter, describing the secret sit-downs as "standard operating procedure" and similar to pre-interview meetings with disgraced former Clippers owner Donald Sterling, a man whose absence from public life had absolutely zero real-life consequences for the criminal justice system. According to Stelter, the anchors "did most of the talking," attempting to "establish trust and comfort" with Wilson. It's not clear who, if any, Wilson chose, but Cooper says it wasn't him. Darren Wilson chose not to do an interview with me. I continue to hope to interview anyone with information about this tragedy. A grand jury is expected to decide this week whether to indict Wilson for killing Brown.